Keyboard triggers for interactions: Now you can easily map individual keys on your keyboard to each interaction, opening up a world of possibilities. You can even map those keys to your remote or game controller. Resizable layers panel: Now you can resize the Layers panel in both the main editor and Motion editor to more easily handle long file names and deeply nested groups. Path editing: The hit area for path editing has been refined at certain zoom levels for rotated objects. Opening files: When opening a file, Studio now displays the last selected page. Percentage-based adjustments for X, Y, and Width properties: Using the arrow keys to increase or decrease percentage values on X, Y, and Width properties now increments and decrements by more expected values. Cursor behavior after deleting path layer: The cursor is now updating as expected after a path layer has been deleted. Resizing masked layers: The issue that was preventing masked layers from getting resized from the Inspector panel has been corrected. Custom height values in Preview mode: The preview window now respects custom height values if you haven’t already set a custom width. Device types in Preview mode: The preview window also now updates the device type as expected if the height or width is revised. Device dimensions in Preview mode: The preview window now retains the device dimensions after being closed. Layer nudging: You can now nudge a selected layer without it causing the layers list to scroll. Unsupported fonts: The handling of unsupported fonts has been improved. Cookie consent modal: European Union users now see a Cookie Consent modal when they first enter the product. Once users click the Agree and Proceed button we save that preference and don’t display the modal anymore. Marketing opt-out in sign up form: Users from the European Union can choose to opt out of any marketing outreach from InVision when signing up for new accounts. Marketing opt-out for collaborator invite forms: Users from the European Union can choose to opt out of any marketing outreach from InVision when signing up for new accounts via collaborator invites. 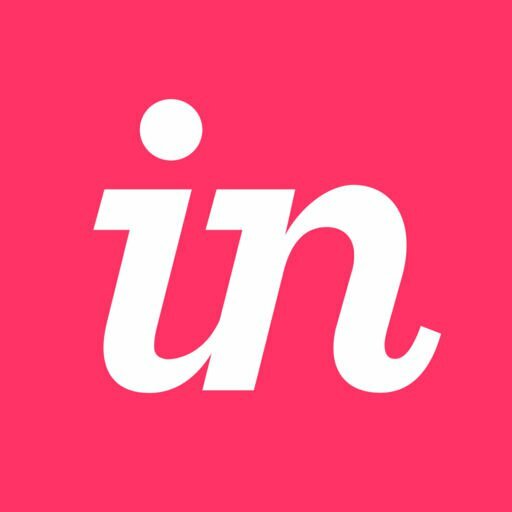 Marketing opt-out for share link comments: Users from the European Union can choose to opt out of any marketing outreach from InVision when signing up for new accounts via share links. Marketing opt-in for board comments: Unauthenticated users can choose to opt in to receive marketing communication from InVision when they enter their email addresses and names in board comments. Marketing opt-in for share links: Unauthenticated users can choose to opt in to receive marketing communication from InVision when they enter their email addresses and names in share links that require user identification. Two factor authentication: You will now be asked to complete Two Factor Authentication when signing in via Document Viewer prototype. Screen loading bug: The bug that prevented some large screens to load in Safari browsers has been corrected. Favorited prototypes: After refreshing the page, your favorited prototypes should now be marked accordingly. Duplicate screens to prototype: Enterprise customers can now duplicate screens to any other Enterprise projects they are collaborating on. Link unfurling: If you post a prototype link to Facebook, that link will now be unfurled in the post preview for all prototype types. Help links: The support links in the 'Embed prototype' modal will now take users to the correct support articles. Old screens: After replacing screens, the old screen will no longer be displayed. Send sharelink via SMS: Share links can now be sent via SMS in the share link view. Copy share link: If you use 'Copy share link' functionality in the Firefox browser, the link will now be properly copied to your clipboard. User avatars: To make our product work faster, we have started leveraging content distribution network for user avatars. Old code: We removed a lot of outdated, unnecessary code that was still getting loaded and was slowing down performance. Monitoring and alerting: We increased our monitoring and alerting of performance issues so we can more quickly determine when the product is experiencing difficulties. Stability improvements: We added numerous stability improvements on our back-end to make InVision more reliable. DSM early access: You can now access DSM via a button at the top of the page. DSM pop up: You can now see a DSM Early Access pop-up when you first visit InVision product. We added a custom DSM sign in page for users who come to InVision via DSM links. The DSM Sketch plugin sign in process is now unified with Craft Manager. Version 2.5.4: This version includes bug fixes and UX improvements. GDPR Compliance additions: We took measures to comply with GDPR standards. Platform stability and security improvements: We made a number of general security fixes.